Over the years, Claude Chabot, Founder of the Association, has patiently built a directory of thousands of descendants of Mathurin Chabot, the ancestor of the great majority of the Chabots of America. These data were collected by telephone and Internet, in newspapers, through personal contacts and through research at the Société généalogique de Québec. In order to share this wealth, he decided to appeal to all. 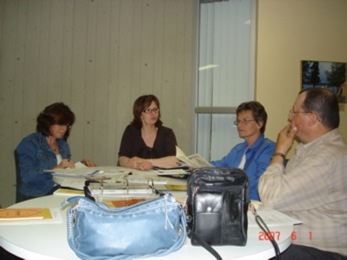 Thus, on June 1, 2007, nine people gathered at the Pavillon Louis-Jacques-Casault at Laval University in Quebec City. Helped by a counselor of the founding families of Quebec, they laid the groundwork for the future Association of the Chabots. Crowning the work of the temporary committee, the Association of the Chabots received its Patent Letters from the Registraire des entreprises du Québec on June 18, 2007 under the number 1164506231. The Association is member of the Federation of the Founding Families of Quebec since June 28, 2007 under number 286. The Association was subsequently provided with rules and regulations whose final version was presented to members at the annual meeting held in Saint-Lazare-de-Bellechasse on September 28, 2008. This video present the major steps of the association of the Chabots creation as well as the events that built its history. 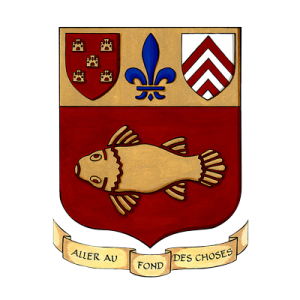 This video contain a lot of reviewed and amended informations about Mathurin Chabot (our ancestor), his native region, his coat of arms and those of his wife Marie Mésange, his arrival in America and settling in Château-Richer, then on the Île d’Orléans where they built their family. Claude and Lucie Chabot, two founding members of the Association of the Chabots did for every members a montage to illustrate the evolution, from beginning until now, of the greatest moments that made the Association what it is today. You will be able to witness all the procedures and steps we went through since the foundation. M. Richard Chabot gave us permission to use in this history his wonderful montage about Mathurin Chabot that he created for the brunch of the Association of the Chabots, on the October 3rd 2010, in Château-Richer. You can also download the montage in PDF. Founding member of our Association who held the position of director at the interim board. Three men happy to see their dream come true when they attended the founding meeting of the Association of the Chabots on June 1, 2007. M. Jacques Chabot #3, from Ste-Marie-de-Beauce who donated $ 200.00 to cover the registration of our Association to the Government at the meeting on June 1, 2007. Received Friday, June 22, 2007.